memory. language, art. wittgenstein. books. ceramics. Alicja Kwade is represented by Johann König Berlin. They were such a friendly lot! 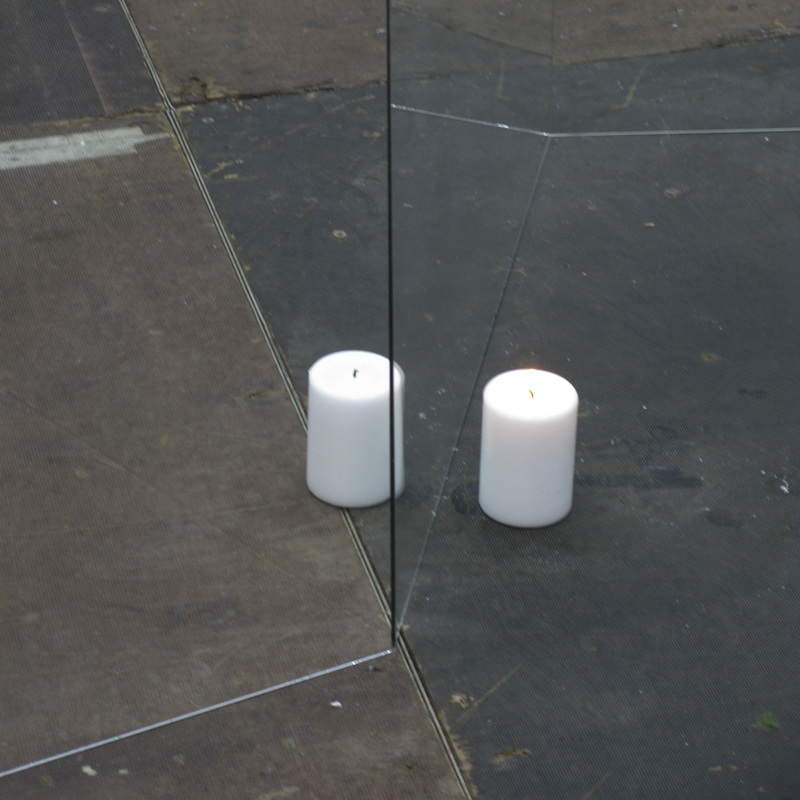 Alicja's sculpture consisted of glass sheets and three candles: one lit and two unlit. 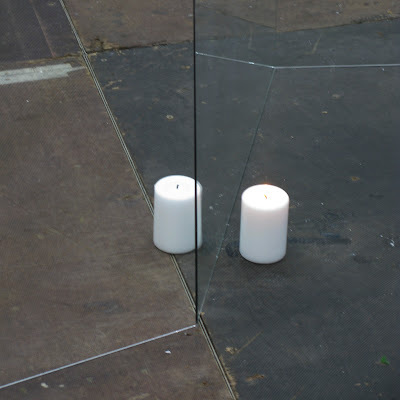 The candles are cleverly placed on both sides of the glass. As the viewer walks around and watches the candles and the reflections, the unlit candles seem to become alight (from certain positions). 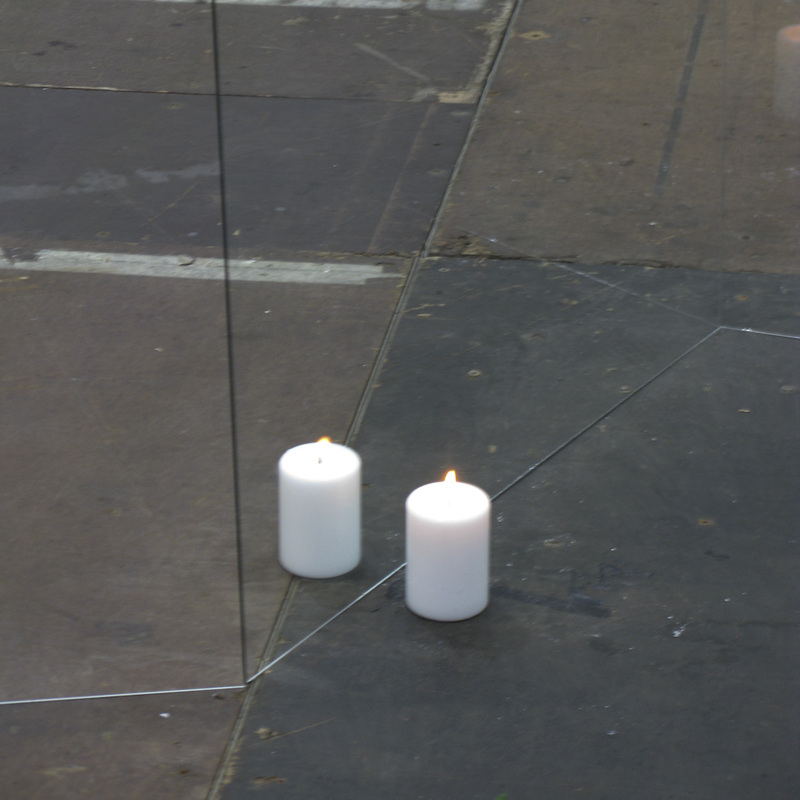 One of the candles was slightly further out. The gallery had only a small space. The visitors kept kicking the candle over. The girl kept putting it back into the very very particular location. She explained, that, possibly it was not the most appropriate installation to bring, considering the size of their space. I am please they brought it, though. i have never heard of Alycja before, but I have now had a look at her website and I really like what I saw. I will keep my eyes open for her work. Egidija Čiricaitė. mail@egidija.com, 07921186986. Powered by Blogger.